Now baby can say, "See you later alligator" to cold floors during tummy time play! 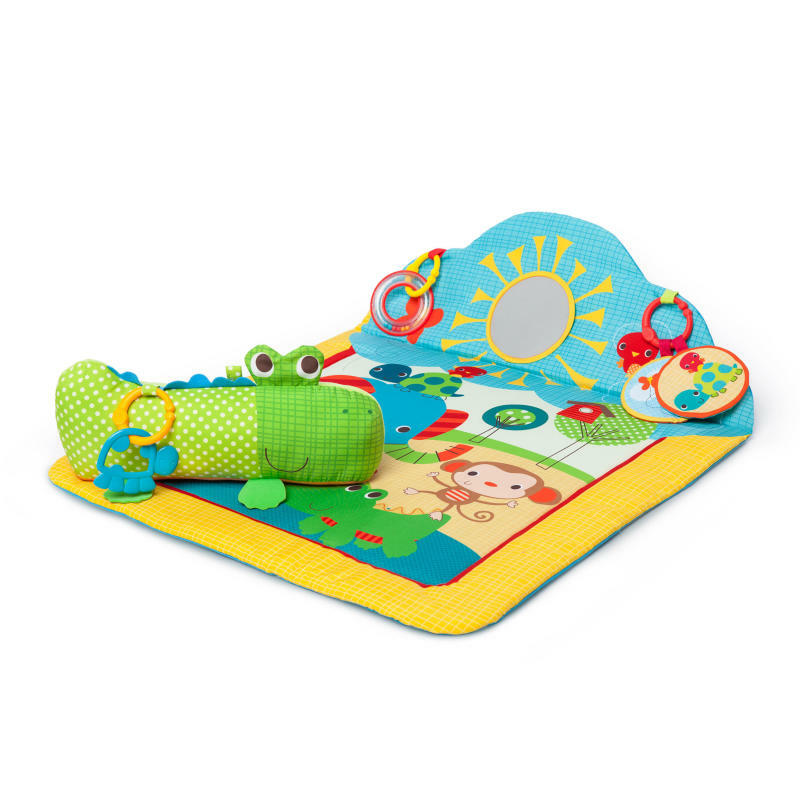 Bright Starts™ Cuddly Crocodile™ Play Mat keeps baby comfortable and engaged during tummy time. The cute character prop pillow offers fun crinkle sounds, a turtle-shaped toy, ring rattle, and fabric squeaker toy. The end of this clever play mat flips up to entertain baby with a baby-safe mirror for self-discovery. Tummy time just got a lot more interesting! Dimension (in) 31" x 23.25" x 6"
Fabric is machine-washable. Wipe parts clean.